We’ve all heard the same phrases. Networking is a necessary part of business. It’s all about who you know. Having a well-established network will get you more sales. All that is true. Unless you’re not networking correctly. I know what you’re thinking. Isn’t networking just meeting people? How can I mess that up? Networking is much more than just meeting people. The truth is, most business owners are approaching networking all wrong. And then wondering why they aren’t getting any business. I recently attended The PennSuburban Chamber of Commerce Small Business University. It was a day filled with sessions on helping small business owners get more visibility for and grow their businesses. One of the sessions I attended was all about business networking, led by Deb Moses from VerisVisalign. I was sure Deb was going to share networking tips that I had already heard many times before. Deb blew me away. She talked about why most business owners are networking incorrectly and how they can get back on track. She shared tips to make the most out of your networking experience and to find the right people to network with (which as most of us know is half the battle!). Many small business owners focus solely on growing a presence online, which is certainly important, but neglect the power of face-to-face relationships. That’s why I want to share Deb’s tips with all of you. Get your business cards ready, flash that smile and perfect that handshake – let’s talk about the 10 ways you can become a better networker (and get more business doing it!). This sounds like a no brainer, right? But how many of us have attended an event and come home without any connections? I used to write it off as a problem with the event format or that the right people simply weren’t in the room. The truth is, the problem was with me. I never did any research ahead of time to see who would be attending the event. I never looked up the event attendees on LinkedIn to learn more about their background. Deb brought up a great point during her talk. These days it’s incredibly easy to stalk people online (in a professional way, not a creepy one). Before every event you attend, see if you can get a list of who’s going beforehand (most organizers will give you this). Go through the list and identify people who are in your target audience or who are connected to individuals in your target audience. Go to their LinkedIn profiles to learn more about them – where did they go to college? What are their interests? Memorize their photo so you can locate them at the event. Just don’t use your boring sales pitch. More on that next. Networking is first and foremost about helping others. You have to give before you get. Contrary to popular opinion, you’re not at a networking event to sell. You’re there to meet people and cultivate relationships. As Deb says, if you develop relationships, sales will come. If you’re so focused on selling your product or service, then you’ll forget to listen to the other person. Listening is the most important thing you can do at a networking event. Listen to what the other person says. It will tell you a lot about the challenges they’re facing or the things they’re interested in. Those are great insights you can use to grow your business. The speaker at my networking session said this: Seek first to understand and then to be understood. Most people have it twisted the other way around. If your primary goal is to sell, sell, sell – then you will leave every networking event without a single sale. How many of us have ever been cornered at a networking event by the wrong person? If you’re too polite to get away, then you could spend the whole event talking to just one person and miss out on meeting the right people. So how do you escape someone who has you cornered? Deb had some great tips for this one. She suggested politely telling the person that you need to grab a drink or use the restroom. Or simply come out and say that you want to meet so-and-so and could they please excuse you. Sometimes you have to be direct in order to get what you want. You don’t owe that person anything (besides respect). Don’t let someone dominate your time and keep you from the people who can actually help grow your business. How much time do you spend eating at a networking event? The answer: too much. I know, I know, networking events are only as good as the food. Answer this: is indulging in some baked goods and coffee going to grow your business? If the answer is no (spoiler alert: it is), then skip it altogether. Spend the time you would have used eating on making 2-3 new connections. Most networking events have a time limit. Some events only allow you to network at the beginning and end. Realistically you’re looking at an hour (if that) of total networking time. If you spend 7-10 minutes talking to each person, then you’ve got enough time to meet with 6 or 7 people. Use your time wisely. Go in with an agenda. Having an agenda is another way to maximize your networking time at event. Set expectations beforehand. What do you want to get out of this event? Who will be there? What can you offer those people that will help them take a step forward in their business? Asking yourself these questions in advance will ensure that you steer all conversations in a productive direction. It will also help you effectively measure the success of the event and whether it was worthwhile for your business. Not all networking events are right for your business, so the more you can measure, the more you can decide how to prioritize your time down the road. Offer a strong handshake and a confident smile. This is a tough one because we can’t necessarily shake hands with ourselves or see our smile in action. Wait a second. You own a mirror at home, right? Use it! Practice your smile in front of the mirror. Shake your spouse’s hand. Practice, practice, practice. A handshake and smile are your first impressions and you want them to be good. You want people to remember you after an event. Trust me – people remember a weak handshake. Deliver your elevator pitch with confidence. One of Deb’s key points was making sure you know the answer to the inevitable question: what do you do? You may think you’re prepared to answer, but most business owners pause or hesitate when responding to this question. That split second of hesitation can put a dent in your credibility. You should be able to respond to that question immediately and with confidence. The best way to do this is to practice (you knew I was going to say that). Where should you practice? Yes, you guessed it, in front of the mirror. It’s important to see how you look when you’re giving your elevator pitch. Your words may say one thing but your body language may say something completely different. Make sure your posture and smile exude confidence. That’s how people will remember you later – especially when they’re ready to make a purchasing decision. Make sure you have a list of action items. Action items? No one told me I was going to have more work to do after this networking event! I get it. We all have busy lives and full plates. Remember what I said about being helpful to those you network with? That means you may have extra work to do. Deb said something during her talk that really resonated with me. She said that if you’re networking correctly, you’ll come away from every event or meeting with 4-5 to-do’s on your list. These may include making an email introduction, setting up a coffee meeting or sending someone ideas for how they can grow their business. Don’t be intimidated by the extra work. If you’ve networked with the right people, then it will come back to you in the form of new sales and customers. Book a second meeting. Always. Have you ever met the perfect contact at an event and then left without scheduling a follow-up meeting? Chances are you probably said, Let me check my calendar and send you some dates that work. Guess what? That follow-up meeting will probably never happen. Why? Because life happens. Unexpected things will come up and derail you from your original goal, which is to get time with that person one-on-one. Deb encouraged everyone at the session to schedule the one-on-one meeting right there at the event, where momentum is at its highest. Whip out your cell phone and get a date on the calendar while you’re talking to the person. That way you don’t have to worry about it later. One less thing off your plate! Look within your existing network for connections. Maybe you’re not a member of a local chamber or association. Or maybe you are and there aren’t any networking events coming up that appeal to you. That shouldn’t stop you from networking. Even you’re not attending an event or conference, you can still find valuable connections. Where? Within your existing network. Even if your network is small (and it probably isn’t, you just may not realize how many people you actually know), you can still find 5-10 people who can introduce you to the right people. Reach out and ask those people to help you. Tell them what you’re looking for. 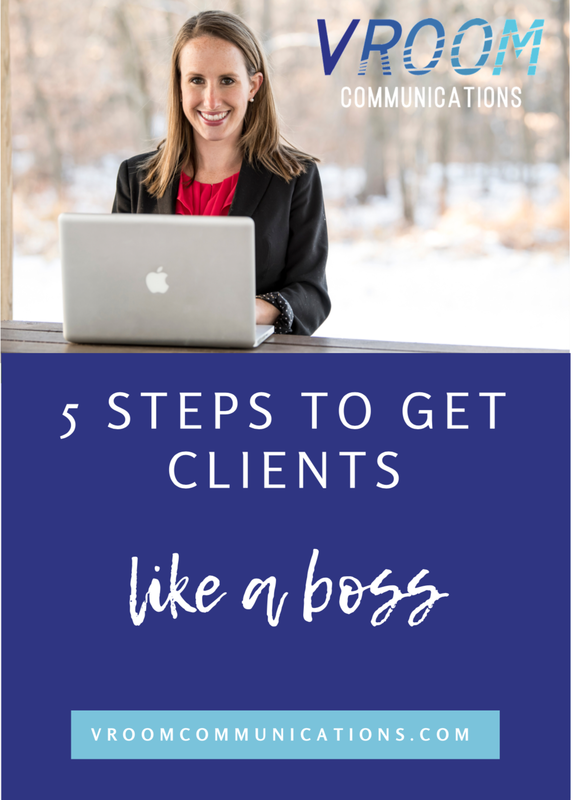 Tell them about your ideal client or customer. People love being asked for their help. It makes them feel important. So ask away – just remember to return the favor later! I hope you found this information helpful. Some of it may seem self-explanatory, but as business owners we tend to get too far into the weeds to remember the basic details. Consider this post a return to the basics and fundamentals of meeting new people. Remember, networking is not an overnight boom for your business. However, if you remain consistent and make it a point to meet 5-10 new people at every event, you’ll start to see traction for your business. Start with relationships and the rest will follow. · Carry a set of blank index cards. That way if the person you’re talking to has forgotten his or her business card, you can write down their information on the index card. · Line up business cards in the order of the people you meet. This is helpful for after the event when you’re trying to match names with faces. · When meeting someone new, don’t ask what they do. It’s a boring question and one people get asked all the time. Stand out from the crowd by commenting on their appearance or something you share in common (this is where your LinkedIn stalking comes in handy). Or you could break the ice with a question about the event or fun fact about yourself. · If two people are standing close together face-to-face, do not interrupt them. If they are talking, but are standing with their bodies facing away from one another, then feel free to approach.